Dry socket is a painful condition that can make many people dread having a tooth extracted. Also known as alveolar osteitis, this problem is characterized by inflammation of the jawbone, which is what leads to pain sensation. The post-operative condition, which is rather rare, negatively impacts on the rate of healing following a tooth extraction. Blood clot that should promote healing dissolves before healing takes place. The problem is sometimes present with an unpleasant taste in the mouth and bad breath. Why do people experience dry socket? The manner of tooth extraction and the particular tooth removed can contribute to dry socket. For example, the process of extracting impacted third molars, also known as wisdom teeth, can be rather traumatic. Surrounding tissue and jawbone may have to be removed or affected in some other ways during the procedure. When there is a bone tissue trauma such as this, certain substances are released, with these diffusing into newly-forming blood clot. This can result in clot disintegration and, of course, dry socket. Dentists may be able to suspect possibility of a trauma, but many are not able to determine the possible extent of such. 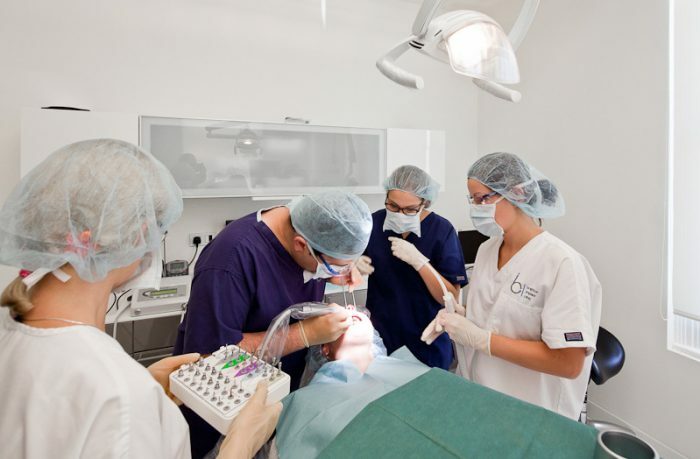 Part of the post-operative advice that is typically provided has to do with applying biting pressure on the packing over the site of tooth extraction. This is important in order to ensure proper clot formation. Patients who fail to do this or to do so properly have greater likelihood of problem with formation of blood clot. Basically, your dentist will advise you on what you can do to promote and preserve blood clot. The risk of dry socket increases when you don’t abide by this advice. 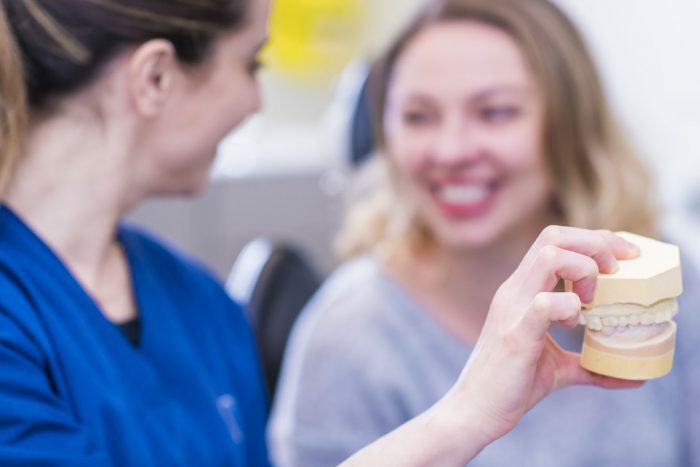 If you have a previous or current infection at or near the site of the tooth extraction, this may cause you to experience the dry socket problem. Gum disease, such as gingivitis or periodontitis, can hinder formation of a proper blood clot. Usually, your dentist will advise you to stay away from tobacco use after having a tooth extracted. This is harmful to effective healing due to the presence of nicotine. This highly addictive stimulant hinders sufficient supply of blood to the site of the extraction. This can delay or prevent formation of blood clot that is necessary to promote rapid healing. Chemicals in tobacco can also contaminate the extraction site. There are also physiologic and mechanical causes of dry socket. The former includes a dense jawbone and hormone imbalances. Mechanical causes are basically actions that can cause loss or removal of blood clot, including dragging on a cigarette or spitting. Dental history – You are more likely to have this condition following a tooth extraction if you have had it in the past. Patients who have a history of experiencing complications after such a procedure have been observed to be at a greater risk. The expertise of your dentist and your readiness to follow instructions would help in this case. Location – It is pertinent to mention that the area of the mouth where an extraction is done is a determinant of possible dry socket issue. 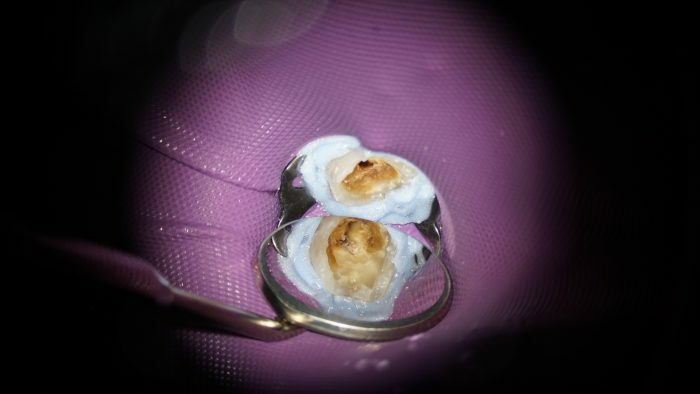 Experience shows that risk of complications is higher when removing a lower tooth. Extraction of impacted mandibular third molars, or lower wisdom teeth, arguably carries the most risk. Dry socket is more common in such cases, with incidence often increasing by more than 20 percent. Gender – Being female can increase your risk of having this condition. It has been observed that more women than men tend to have dry socket. Possible explanations for this difference may include hormonal changes or use of oral contraceptives. Age – Development of dry socket may also be a factor of how old you are. As people get older, their jawbone tends to become denser and blood supply to the part reduces. This increases risk of experiencing complications when having a tooth extraction. Individuals who are older than 30 years and have impacted mandibular third molars are at a greater risk of dry socket. You can reduce the likelihood of you having dry socket when you choose an experienced dentist for a tooth extraction. Such a professional will be able to provide appropriate guidance to lower the risk. The experience of handling similar procedures in the past will be useful in pre-empting possible tissue trauma and taking appropriate steps to deal with such properly. However, your cooperation with the dentist will go a long way in ensuring that you do not experience dry socket. Further complications, besides delayed healing, rarely occur from dry sockets. But there is potential of progression to osteomyelitis, or chronic bone infection. 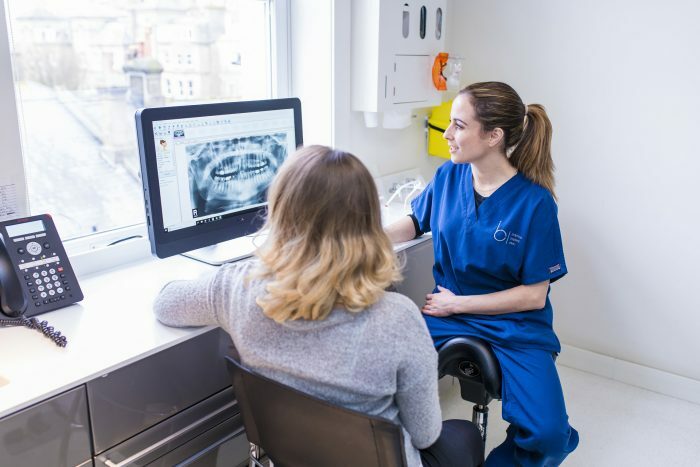 This makes it all the more important to work with an experience dentist for tooth extraction and other dental procedures. Ready To Find Out More Why do people experience dry socket?